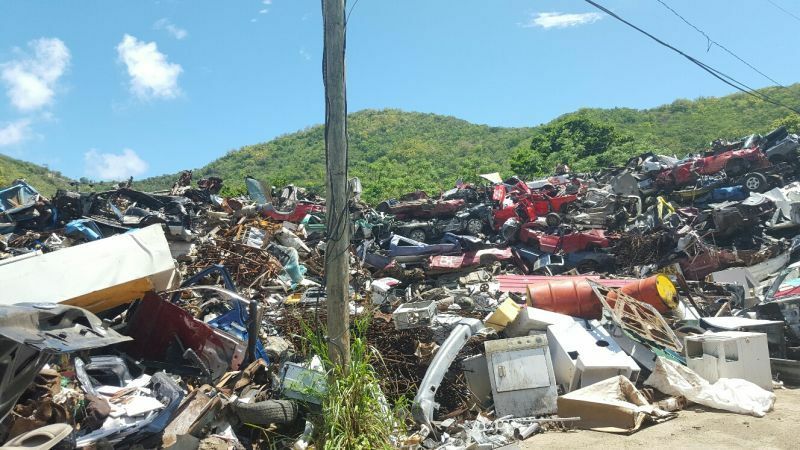 ROAD TOWN, Tortola, VI- Territorial At Large Representative and Junior Minister for Tourism Honourable Archibald C. Christian said talks are ongoing with two overseas companies to bring an end to the derelict vehicles problem in the Virgin Islands. Hon Christian noted too that locals also are willing to provide a similar service. The second term legislator was speaking with this news site last week Tuesday May 10, 2016 in an exclusive interview in which he spoke of his new area of responsibility - tourism - as the Junior Minister for the subject. Honourable Christian said a lot of vehicles are being imported into the territory and this includes a high number of second hand vehicles. He said that as vehicles are picked up, more of them are decommissioned hence the problem of derelict vehicles persists. He said it appears as if “we as West Indians” don't like to part with old boats and vehicles because of sentimental attachments to them. According to Hon Christian, the current system of disposing derelict vehicles is done by private contractors. “So the government will basically pay a private person to haul a vehicle down to Sea Cows Bay and that private contractor will crush those vehicles and then arrange to take them out if the territory.” He said, however, that there arose issues with the equipment used to crush the old vehicles and this caused some degree of backlog on the operations. He said the vehicles are still being picked up from the side of the roads even though they are not being destroyed fast enough. “We are in discussions with two companies overseas who have some local components that are looking at making proposals to government for [crushing and removing of derelict vehicles] to take place. So that is in its early stages,” he said. Honourable Christian said that while some efforts have been made towards a cleaner Virgin Islands, he cannot be totally happy. 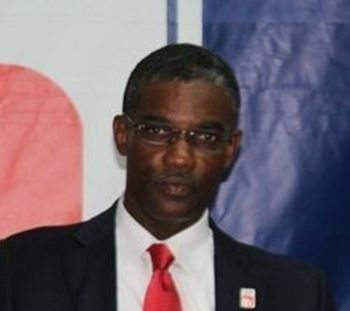 Some months ago, Honourable Christian had created a stir of controversy when he suggested that the persons responsible for the dirty state of some parts of the territory were the expatriates living in the Virgin Islands. He said expatriates come to the territory bringing their “dirty habits” with them. Honourable Christian believes that an early appreciation for keeping the environment clean can come from being properly educated on the issue. “We have to do a lot of education...I am now convinced that the education perhaps needs to start in the schools,” he said. Wow is he now the Minister of Health and SD? I don't like the part where he said "locals always need something from government, whether it is a subsidy or financial assistance"
You don't like it because IT IS THE TRUTH!! We don't want to take any risks but want all the rewards and that's our problem, there is no FREE LUNCH in this thing called LIFE, especially in business. I can understand mobilization on major contracts but even if Government is giving a guy 5K to paint a building, he want 2K upfront to buy materials, I mean WTF? What's wrong with subsidizing locals? No wonder that foreign airline was assisted so easily. NDP love things from the outside only. Look at my district.... JUST LOOK AT IT! Disposal Tax for all new vehicle imports! It might upset some but that is the best solution to the problem. Archie is more coherent than Trump. At least he can put sentences together and has softened his statement about dirty habits coming only from expats. Islanders have to be taught in schools (not even at home! that's sad). Trump is a street fighter and bully. shoot first and ask questions later. All cars are made somewhere else and therefore imported. All cars eventually die, and will need to be disposed of. Since disposal costs money, these costs need to be built into the price of a car, either at the dealer, or when importing the vehicle into the territory. All it needs is a one time disposal fee collected at the time of purchase or import, based on size of vehicle (eg moped $ 100, smaller car $ 250, larger SUV type $ 500 etc. There are more than 15,000 cars registered (see http://bviplatinum.com/news.php?articleId=1425223909). 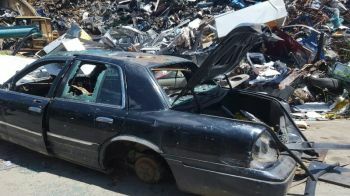 Based on an average fee of $ 250, there would be about $ 4 million earmarked for car collection and disposal (assuming it is not squandered somewhere else). The DMV could also be more diligent inasmuch as owners who do not re-license their vehicles for say 3 years need to surrender the vehicle for disposal, or explain how and where the vehicle was disposed of. OK, I'll stop day dreaming now. Why don't they use some of this before charging us poor people MORE? gee, let's have more car rallies and encourage more sales to people who can't afford them. Those with derelict cars should pay a fee to have them towed away. Since when do you get deliveries and trucking for free. Owners should have to pay something.